CCS Haryana Agricultural University, Hisar, 125 004, India. ii) College of Home Science, CCS HAU, Hisar (11 Nov. 2002 –25 Nov. 2002 ), Addl. Charge. ii) Computer Section, CCS HAU, Hisar ( 1 Dec. 2001 -- 26Feb.,2003, 13 Jan. , 2004-- 29 Nov. , 2004 and 2 Feb.,2005 --- 5 May, 2006 ( Addl Charge ). iii) Department of Languages & Harvanavi Culture, CCS HAU, Hisar . ( 1 Dec. 2001 -- 26 Feb. , 2003, 13 Jan. , 2004-- 29 Nov. ,2004 and 2 Feb.,2005 ---5 May, 2006 ( Addl Charge ). .iv) Professor (Honeybees) : Department of Zoology & Aquaculture, CCS HAU, Hisar (20 Nov. 1995 -- till date ). vi) Assistant Professor : Department of Zoology & Aquaculture CCS HAU, Hisar (23 Nov.,1979 - 1 Jan. 1988). Award : Recipient of “ Group Award (1993) “ from ‘United States Department of Agriculture (USA) ‘ for outstanding research work on “Management and Conservation of Solitary Bees for Improved Crop Production Efficiency". Scroll of Honour : Awarded “Scroll of Honour “ in the ‘International conference on Modern Trends in Plant Sciences with Special Reference to the Role of Biodiversity in Conservation’ ICPSBC-05 (2005),Amravati University, Amravati ,India (Feb.,2005) , in recognition of outstanding contributions made in the discipline of “ Pollination Biology and Conservation Ecology “. Conference, Bangalore, 25 Feb.-1 March 2002. Member : Scientific Programme Committee, Global Summit on Medicinal Plants. ii) “ Conservation of Bee Pollinators for Plant Diversity “ in the’ International Conference on Modern Trends in Plant Sciences with Special Reference to the Role of Biodiversity in Conservation’, Amravati, India (18 Feb., 2005 ). Awards : i) Recipient of “Rafi Ahmad Kidwai Memorial Prize” (1980-81) of Indian Council of Agricultural Research (New Delhi) for outstanding research work on “Management and utilization of Solitary Bees for Pollination of Crops “. This is the most prestigious award of the land in the discipline of agricultural research. ii) Recipient of Ambedkar Fellowship Award (1998) for Social Service. iii) Recipient of ‘Life Time Achievement Award for Conservation of Biodiversity and Environment (2007)’ of Environment Society of India, Chandigarh . Patron : i) XXIX Annual Conference and Symposium on Environmental Pollution: Genetic Risk and Impact on Global Health, CCSHAU, Hisar, 3-5 March, 2004. Chaired Sessions : i) Transforming Waste into Compost – Project for Enhancing Rural Hygiene and Soil Fertility. In the workshop on “Transforming WTO Challenges into Opportunities through Continuing Education and Skill-Up gradation” Organized by the Department of Veterinary Microbiology, CCSHAU, Hisar’ 9-10 July, 2001.
ii) Changing International IPR Environment : Challenges & Opportunities. In Seminar on “Intellectual Property Rights” 22-23 March, 2004, CCSHAU, Hisar, sponsored by HRD, Ministry, Govt. of India. iii) XXIX Annual Conference and Symposium on Environmental Pollution: Genetic Risk and Impact on Global Health, CCSHAU, Hisar: 3-5 March, 2004. Member : Board of Management, All Indian Beekeepers’ Association (1990- 2004). iv) College Magazine Publication Committee,COBS&H CCS HAU, Hisar. xii) University Sports Council, CCSHAU, Hisar. xiv) Self Finance Scheme Committee, CCS HAU, Hisar . xv) Committee on Students’ Welfare, CCS HAU, Hisar. xviii) Board of Studies, Kurukshetra University., Kurukshetra. Honour Association, CCS HAU, Hisar. i) S.Kumar.1989. Laboratory estimation of toxicity of some commonly used insecticides. CCS HAU, Hisar 75+iii p.
ii) Gurminder Kaur.1993. Effect of strength, brood condition and colony reserves on colony buildup and foraging activity of Apis mellifera L. CCS HAU, Hisar, 59+x p.
iv) Sunita.2000. Estimation of toxicity of some insecticides to little honeybee, Apis florea F. CCS HAU, Hisar 73+xxxi p.
v) Dinesh Kumar. 2003. Determining the relative efficacy of vermicompost, FYM and chemical fertilizers on crop yield in some vegetable crops. CCS HAU, Hisar 64+xii p.
vi) Tejpal Dahiya.2005. Survey, isolation and identification of bacterial diseases of fresh water fishes in district Hisar, Haryana. CCS HAU, Hisar, 61+xviiip. viii) Manisha Gupta.2005. Relative efficacy of different pollen substitute diets on the reproduction and build up of Apis mellifera L. colonies. CCS HAU, Hisar, 49+-xxiv p.
i ) Anju Rathi.1993. Field study of bee pollinator-pesticide interaction on the pigeon pea (Cajanus cajan (l.) Millsp), CCS HAU, Hisar, 93+-v p.
ii ) Suman Shivrana.1996. Studies on foraging dynamics of some Apis species. CCS HAU, Hisar, 149+-ix p.
iii ) Sunita Khatkar.1996. Analysis of factors influencing honeybee visits to different cultivars of oilseed crops. CCS HAU, Hisar, 115+-xxix p.
*iv ) Priti.1996. Studies on abundance, diversity, foraging behavior and pollinating efficiency of insect pollinations of some vegetable crops. CCS HAU, Hisar, 148+-iii p.
v ) Nirmala.2000. Effect of some insecticides on survival and acetyl cholinesterase activity of giant honeybee Apis dorsata F. CCS HAU, Hisar 138+xlvii p.
vi ) Richa Arora.2000. Effect of commonly used insecticides on acetyl cholinesterase activity of little honeybee, Apis florea F. CCS HAU, Hisar, 108+liv p.
vii ) Gurminder Kaur.2000. Effect of commonly used insecticides on acetyl cholinesterase activity of Apis florea F. CCS HAU, Hisar, 117+lxiii p.
x ) Sailja Pandey.2004. Relative efficacy of different chemicals as repellents to Apis mellifera L. and Apis florea F. under semi- field and field conditions. CCS HAU, Hisar, 116+-xxi p.
iv) Co-PI of Project on Management & Conservation of Solitary Bees for Improved Crop Production Efficiency, Indo-US, PL-480 Fund, and (1985-89) . v) Supervisor of Project on “ Parasites of Solitary Bees “, CSIR, New Delhi, (1989-90). vi) Supervisor of Project on “ Pesticidal Toxicity to Honey Bees Foraging on Cotton Crop “, CSIR, New Delhi , (1990-92). Prof. R.C. Sihag is an expert in Beekeeping. This is one of the subsidiary professions and is recognized as a Khadi and village industry activity for rural upliftment in India. This activity is one of the bases of rural livelihood and development, as it promotes self-employment among the rural masses for generation of additional income through sale of honey, honeybee colonies, other hive products and manufacturing of hives and other beekeeping equipments. Honey is an excellent food supplement and energy source, and along with other products from beekeeping e.g. propolis, beeswax, pollen, royal jelly and bee venom make a backbone of many foods, pharmaceutical, drug and other industries. The importance of beekeeping (honeybees) as crop yield booster has been acknowledged by the Indian Council of Agricultural Research which has recently recognized this activity as one of the essential inputs in agriculture. Before 1980, except for having some colonies of European honeybee (Apis mellifera) in the Northern districts of Punjab, the rest of the country practiced (cerana) beekeeping with Indian honeybee (Apis cerana). At that time, this activity was completely unknown to Haryana, as there was not even a single colony of domesticated honeybees in the state. The hot and arid climate of this state, in fact, did not suit the Indian honeybee for cerana- beekeeping in Haryana. As a young researcher in 1980, Dr. Sihag introduced, acclimatized and established the European honeybee (Apis mellifera) in the hot and arid climates of Haryana through his research on survey of honeybee flora, identification of beekeeping zones and detailed study on the eco-biology of this honeybee under such conditions including characterization of its life cycle pattern, colony build up , honey storage , queen rearing and multiplication periods, cheap and easy to prepare honeybee diet for lean period, incidence of diseases, pests and predators and their control, and safety of honeybees against pesticides. On the basis of these researches, Dr. Sihag standardized the management practices for mellifera-beekeeping in semi-arid sub-tropical climates of the country. In 1982, he started beekeeping training in Haryana in collaboration with the State Department of Agriculture. This beekeeping training later on, in 1987, became a general annual feature of Haryana Agricultural University, Hisar where more than 100 rural persons are trained every year for beekeeping.. Initially, the training was organized for farmers. These trainings were organized in all the three beekeeping zones of the state (characterized by Dr. Sihag). More than 250 persons were trained and established from 1982 to1986 by providing them honeybee colonies and bee hives (boxes) of mellifera at subsidized rates. Later on, these trainings were extended to rural unemployed youth, ex-military personnel and rural women in agriculture. For the latter group, gram sevikas were involved to prepare women for beekeeping training. In the early 90’s Dr. Sihag trained about 600 rural women for beekeeping who were involved in agriculture. Model apiaries were established in different zones of Haryana. These beekeepers in turn were encouraged to impart training to the interested persons from the state as well as from other states. Apiaries were regularly visited by Dr. Sihag or his supporting staff. To popularize beekeeping among rural masses, Dr. Sihag delivered several talks on mellifera-beekeeping on All India Radio and Doordarsan in farmers programmes, and also wrote many articles on mellifera-beekeeping in regional and national farmer’s/agriculture magazines. Thus, mellifera-beekeeping with European honeybee was fully established in the State of Haryana as well as across the state boarders. Prompt transfer of mellifera – beekeeping technology, pertinent guidance to the honeybee farmers and follow-up action by Dr. R.C. Sihag helped in successful establishment of several beekeepers in all the three beekeeping zones of the state, and now there are several success stories of mellifera-beekeeping. Now the State has more than 2500 beekeepers and 40000 honeybee colonies of European honeybee yielding 800 tones of honey annually (2006 estimates). Mellifera-beekeeping is now practiced not only in all the parts of Haryana but across the boarders of this state like Jammu & Kashmir, Himachel Pradesh, Punjab, Uttar Pradesh, Uttrakhand, Bihar,. Orissa, Andhra Pradesh, Tamil Nadu, Maharashtra, Jharkhand, Assam and Kerala. Haryana has become a model of ‘semi-arid and sub-tropical mellifera-beekeeping’ in India. Dr. Sihag’s mandate was breeding honeybees for honey production and pollination of crops. However, the popularization and expansion of beekeeping in Haryana and later on in the rest of the country was due entirely to his voluntary efforts. In early 1980’s, the Indian honeybee was infected with the deadly “Thai Sac Brood Virus Disease”. That brought large scale mortality of Indian honeybee colonies across the country .By 1990, 95% population of Indian honeybee in the country was wiped out due to the attack of this disease which has not yet recovered above that level. This was a great set back to the cerana-beekeeping industry in the country. At this stage, the beekeepers with arid mellifera-beekeeping model of Haryana came to the rescue of the beekeeping industry in the country by providing arid-acclimatized stock of European honeybee and other mellifera-equipments to the rest of the country as a quick replacement of cerana-beekeeping. The modest voluntary effort and initiatives of Dr. Sihag culminated into a big mellifera-beekeeping movement in the country. The mellifera-beekeeping with European honeybees is now practiced in Jammu & Kashmir, Himachel Pradesh, Punjab, Haryana, Uttar Pradesh, Uttrakhand, Bihar,. Orissa, Andhra Pradesh, Tamil Nadu, Maharashtra, Jharkhand, Assam and Kerala. As a consequence, the beekeeping industry in India, at present, is on a sound footing with more than 2 million mellifera colonies. While honey production in the country from domesticated honeybees in 1980 was only 500 metric tones, it has now increased in 2005-06 to 6000 metric tons (12 times increase). 1. Beekeeping for employment and income generation. 2. Beekeeping as a back bone of health, food and other cottage industries. 3. Beekeeping as a constructive and eco-friendly activity. 4. Beekeeping for human resource development. An apparatus named, “Sihag Bee Sampler” for sampling / capturing honeybees from wild honeybee colonies was designed, fabricated / developed and tested. The details of this apparatus were published under the section” Innovation” in an internationally reputed journal, Bee World, U.K. (Sihag, 1987, vol. 68, pp: 179). For keeping / culturing and conservation of specialist pollinators of crops e.g. megachilid bee-pollinators of forage crop rizka / alfalfa ( Medicago sativa ) and pulses crop pigeon pea (Cajanus cajan ), and black carpenter bee ( Xylocopa fenestrata ) - a pollinator of many cucurbit crops, their nesting hives were designed, fabricated / developed and tested in the field. The details of these hives and culturing methods for different bee pollinators were published in reputed journals like Bioresource Technology, U.K. ( Sihag, 1992, vol. 42,pp: 159-162), Korean Journal of Apiculture ( Sihag,1991, vol. 6, pp :81-88), Journal of Apicultural Research, U.K. (Sihag,1993, vol. 32, pp: 102-108 ) ; in many books e.g. by D.W. Roubik (1995 ), G.K. Veeresh et. al. (1993), R. C. Mishra (1997) and R.C. Sihag (1997). Hives for the domestication and conservation / keeping of two wild honeybees e. g. giant honeybee (Apis dorsata) and little honeybee (Apis florea) have been designed, fabricated / developed and tested. The details of these hives are in preparation for publication. Malaysia (1988), Singapore (1988, 1994), Indonesia (1994), Nepal (1998), Philippines (2004). by published work and recognitions. ii) Well versed with all kinds of university administration. iii) Experience of interaction with scientists / persons from multicultural environment. I have superb leadership skills and qualities. During my tenure as group leader, I provided very timely and pertinent leadership to my team for spirit of taking new initiatives that led to us in successful establishment of European honeybee (Apis mellifera) for beekeeping in hot and dry climates of Haryana. As Head of the Department, I could lead the faculty to revise all the course curricula and to start new M.Sc. and Ph.D. programmes in Fisheries discipline; the department could fetch 10 million INR from outside funding agencies as research grant. As Dean of the College, I led my faculty to revise the whole course curricula and research priorities of 13 departments to meet the present global challenges in education. For the first time in the entire history of the college, the faculty members submitted more than 125 research project proposals to the outside funding agencies amounting to 100 million INR. I took initiatives in starting one new postgraduate degree programme in Bioinformatics and four diploma courses in the College of Basic Sciences & Humanities viz. Post-graduate diploma in industrial microbiology, Post-graduate diploma in Biotechnology, Post-graduate diploma in communication skills in English, Post-graduate diploma in English-Hindi translation. During my tenure as Dean of the College, I rejuvenated and reconstituted the College Cultural Forum, College Sports Forum and College Wall Magazine Forum. I have superb skills of financial, infrastructural and human resource management. During my tenure as Head of Departments and Dean of the College, I reorganized the establishment section, the research groups and the departments of the college for the best interpersonal coordination, as well as for their best utilization. I believe in responsive administration and responsible subordinates. While administering the units, the departments or the college, efficient use of infrastructure, manpower and finances has been my endeavor and thrusts. I have sharp memory, excellent proficiency in communication skills, positive thinking and quick decision-making capabilities, which have enabled me in taking prompt action/decisions for an efficient administration and for quick disposal of the cases. I am respectful to my seniors, friendly to my equals and supportive to my juniors. I have very cool yet working temperament. Instead of punishment, persuasion and encouragement is my course of action, which has always proved fruitful in giving best results to the institute. I have high sense of creativity, which is evident from my personal skills, and quality and quantity of publications. I have ultra modern and strategic outlook for educational development. This I could demonstrate through the up gradation of infrastructural facilities of the college, updating of course curricula and reorganization of ‘establishment units and departments’, which proved very fruitful to the institute. I am habitually a voracious reader and also like reading and viewing diverse cultures. I always strongly advocate and ensure a congenial working environment for my subordinates, which has also proved very useful in achieving the short as well as long term objectives of the institute. I have high level of stage confidence. I love to address the audience on general as well as specific issues related to education and culture. The foregoing paragraphs clearly reveal my aptitude for taking initiatives in starting new programme and strategic planning to meet the future challenges in education. My strengths have enabled me in managing all financial and administrative crisis very effectively and efficiently. The fact that I have been placed on so many committees of the University speaks of the confidence of the University Administration in my capabilities and administrative skills in this seat of higher education and learning. a) I call a spade a spade. Over the years, this has proved to be my biggest strength as well as an asset. b) I have cool temperament. This has enabled me to find logical solutions to the problems I face in administration especially in official meetings encountering hot discussions. Powers and Duties of Prof. R.C. 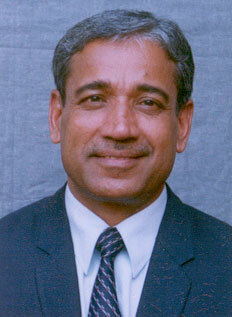 Sihag ,as Dean , College of Basic Sciences & Humanities , CCS Haryana Agricultural University, Hisar. 1. As Dean of the College I was directly responsible to the Vice-Chancellor for the administration of the Resident Teaching Programme of his College ,and for the development, evaluation and improvement of curricula and teaching procedures to develop in the students professional competence, character and quality leadership. 2. I was responsible for the organization and conduct of teaching in the Departments of my College and for that purpose passed such orders as may be necessary in consultation with the Heads of the Departments concerned. 4. I presided over the meetings of the Board of Studies of his College. 5 I formulated and presented policies to the Board of Studies of my College for its consideration, without prejudice to the right of any member to present any matter, to the respective Board of Studies. 6 I submitted reports to the Vice-Chancellor on the work of my College regarding resident instructions. 7. He was responsible to the Vice-Chancellor for the use of the buildings and rooms of his College and for equipment of the College. 8. I served as the medium of communication for all official business of my College with other authorities of the University, the students and the public. 9. I normally represented my College in Conferences, and wherever necessary I designated representatives from amongst the staff of the College for specific conferences on resident instructions. 10. I prepared the budget of my College. 11. I exercised, in consultation with the Heads of the Departments, administrative control over the teaching loads of the members of the faculty of my College and worked with the Director of Research / Director of Extension Education on work load assignments of joint teaching- research or teaching- extension personnel. 12. I was responsible to the Vice-Chancellor for maintaining discipline and law and order in my College, and for discharge of my duty, I was empowered to award suitable punishment to students for acts of misdemeanor except that before he expelling or rustication of a student I got the prior approval of the Vice-Chancellor. 13. I exercised all the powers of drawing and disbursing and collecting officer in respect of employees under me in my College. 14. I countersigned T.A. bills to sanction absence on duty beyond jurisdiction in respect of teaching and other staff working under me. 15. I opened and maintained personal ledger accounts relating to various funds of my College. 16. I opened and operated necessary accounts of my College on behalf of the University in a Bank approved by the Board of Management with the approval of the Vice-Chancellor. 17. I delegated the powers mentioned in Sub-clause (b)&(c) of ’Haryana Agricultural University Act & Statutes ‘ to grade ‘A’ and ‘B’ employees working under me . Powers and Duties of Prof. R. C. Sihag as Head of Departments, CCS Haryana Agricultural University, Hisar. 1. As Head of Departments, I was responsible to the Dean of the College for resident teaching, to the Director of Research for research, to the Director of Extension Education for extension and to the Dean, Post-Graduate Studies of the University for Post-Graduate Programme of the departments. 2. I was responsible for the organization and conduct of resident teaching, research and extension education of my Departments and for that purpose passed such orders as might be necessary in consultation with the Deans / Directors. 3. I tendered advice to the Deans and Directors on all matters pertaining to my Departments in respect of teaching, research and extension. 4. I submitted to the Deans/ Directors concerned the budgetary needs of my Departments. 5 I recommended to the appropriate Dean / Director the workload of each member of the staff with respect to teaching, research and / or extension education. 6. I assumed responsibility for all University properties and facilities assigned to my Departments. 7. I recommended to the Deans and Directors proposals for making improvement in the working of my Departments. 8. With respect to the staff employed in connection with teaching, research and extension education work, I exercised the powers of drawing and disbursing and collecting officer of my Departments. 9. I had the power to countersign T.A. bills and to sanction absence on duty beyond jurisdiction of teachers and employees of grade ‘B’ and ‘C’ working under me. 10. I opened and operated necessary accounts of my Departments on behalf of the university in a Bank approved by the Board of Management with the approval of the Vice-Chancellor.